Over half of Russians (53%) believe the London court had no real grounds to accuse Russian officials of involvement in the death of former Federal Security Service official Alexander Litvinenko, Levada Center has reported. The poll, which surveys 1,600 respondents, was conducted in 137 populated areas of 48 regions of Russia on Jan. 22-25. The poll shows that only 12% of the respondents are inclined to believe that the conclusions on “probable approval” by the Russian authorities of the operation to eliminate Litvinenko made in the British court’s report are really substantiated. Only 3% of the respondents said that with full confidence and 36% were undecided. The poll shows that 71% of its participants have not heard anything about the death in London of the former Russian special services officer. At the same time, 29% of the respondents said they have heard about this case, and 3% said they are closely following the investigation. Among the respondents who are aware of the essence of the case, the percentage of those who call the accusations made by the London court ungrounded is much higher (59%) than in the general sampling. 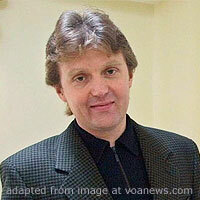 Alexander Litvinenko, who was granted asylum in the United Kingdom, died in London on Nov. 23, 2006. A postmortem revealed that he died from polonium poisoning. On Jan. 21, British investigators laid responsibility for Litvinenko’s death on businessman Dmitry Kovtun and State Duma deputy Andrei Lugovoy, claiming that these acted on other people’s orders, according to the final report published by investigator Robert Owen upon completion of the public inquiry.